Stop affiliate marketing the hard way! At Last! You Can Affiliate Market Seamlessly-without Irritating Visitors to Your Sites! * I wanted to be able to cookie my site visitors without them knowing about it. This would let me give them direct links to the sites I recommend, which are much more likely to get clicked. And I wanted to get paid for those clicks. * And since most people use pop-blockers these days, I wanted un-blockable pop-us. Preferably ones that use the visitors e-mail client, so I can collect e-mail addresses. It took months, but my buddy finally delivered the goods. And WOW, did he ever! It wasn't just a program. It was the most AWESOME, purely powerful affiliate marketing tool Ive ever seen everything Id asked for and more! But Hey, Dont Take MY Word For It! This is incredibleIve gone from frustrated to flush with ad checks in just ten days! The Affiliate Marketers Toolkit is going to forever change the way people do affiliate marketing. Its such a great toolkit, Im shocked youre selling it so cheap. Mucho thanks! AWESOME! Finally, something out there works, and works great! 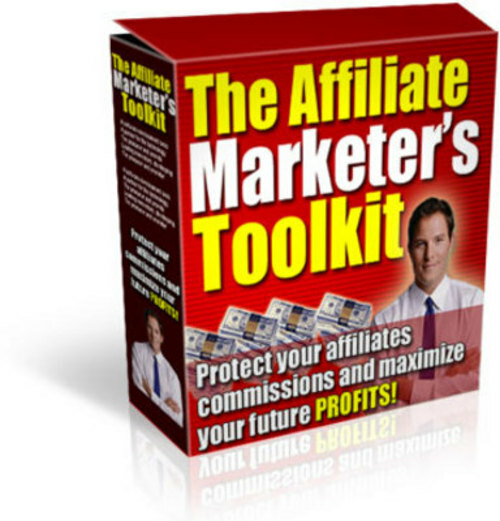 The Affiliate Marketers Toolkit is hands-down the best money Ive ever spend for any site tool. Id recommend it to everyone, but honestly, I dont want word to get aroundI wanna keep the edge it gives me.